In 1988, forty-three-year-old Jeff Winston died of a heart attack. But then he awoke, and it was 1963; Jeff was eighteen all over again, his memory of the next two decades intact. This time around, Jeff would gain all the power and wealth he never had before. This time around he'd know how to do it right. Until next time. 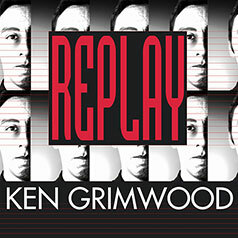 A time-travel classic in the tradition of Jack Finney's Time and Again, Ken Grimwood's acclaimed novel Replay asks the provocative question: "What if you could live your life over again, knowing the mistakes you'd made before?" Forty-three-year-old Jeff Winston gets several chances to do just that. Trapped in a tepid marriage and a dead-end job, he dies in 1988 and wakes up to find himself in 1963, at the age of eighteen, staring at his dorm room walls at Emory University. It's all the same...but different: Jeff knows what the future holds. He knows who will win every World Series...every Kentucky Derby...even how to win on Wall Street. The one thing he doesn't know is: Why has he been chosen to replay his life? And how many times must he win—and lose—everything he loves? Winner of the 1988 World Fantasy Award for best novel and published in eleven languages, Replay unravels the answers in a masterful skein that captivates our imagination.